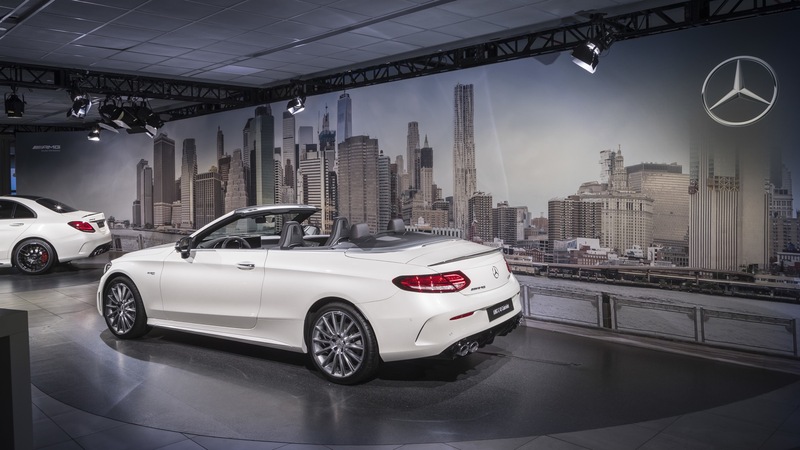 Just weeks after the Geneva Motor Show the international automotive scene crossed the Atlantic for the next major event on the calendar: the New York International Auto Show 2018. Javits Center on the shores of the Hudson river in Manhattan forms the stage for a dozen new world premieres along with nearly 50 US premieres. 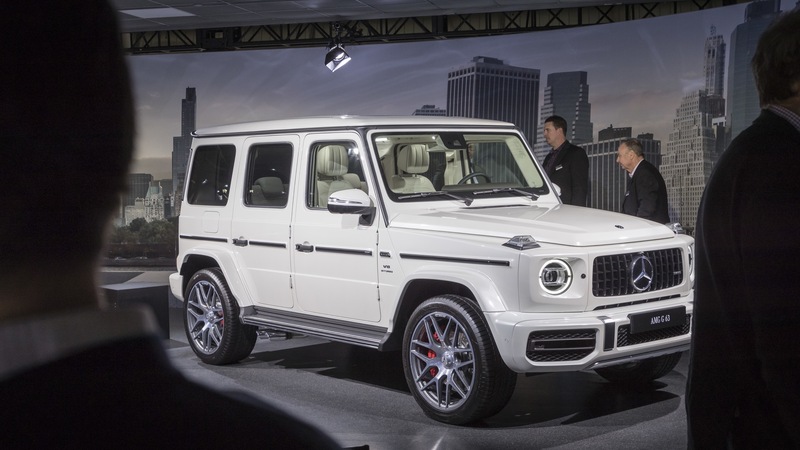 The automotive year started with a deception at the North American International Auto Show in Detroit but the vibe in New York is different. The halls are packed both with exhibitors as well as media representatives from all over the world. The decline of Detroit clearly leaves New York unaffected. A very strong customer base in New York and the surrounding East coast along with the general appeal of the city that never sleeps makes that manufacturers and visitors like to be here. 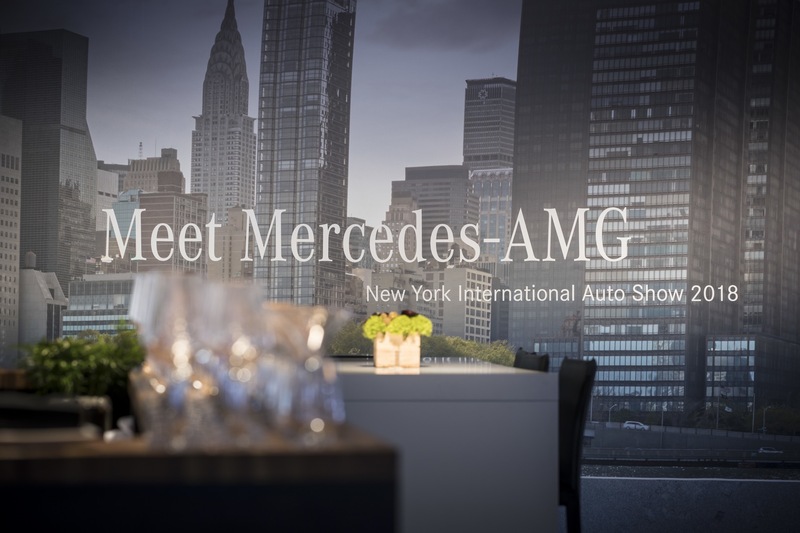 Before we share our highlights of the New York Auto Show with you we start with two events that took place on the sidelines of this year’s NYIAS: the Meet Mercedes preview event taking place the evening prior to show opening and the World Car of the Year Awards Ceremony. 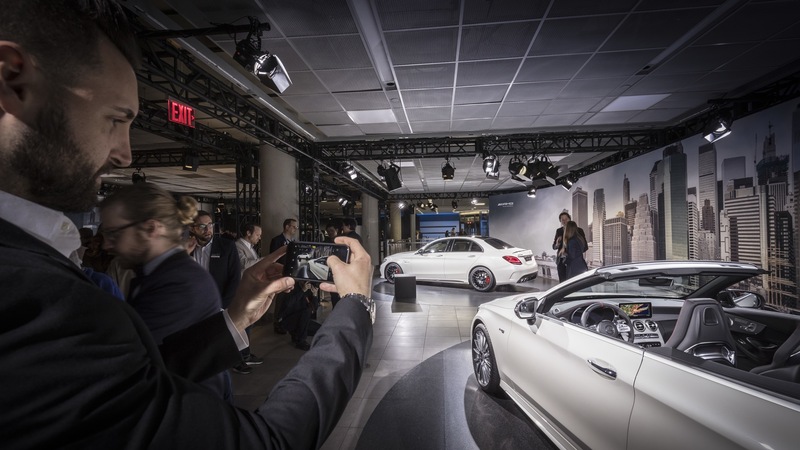 Mercedes-Benz Manhattan hosted a select group of media representatives for the Meet Mercedes preview event. 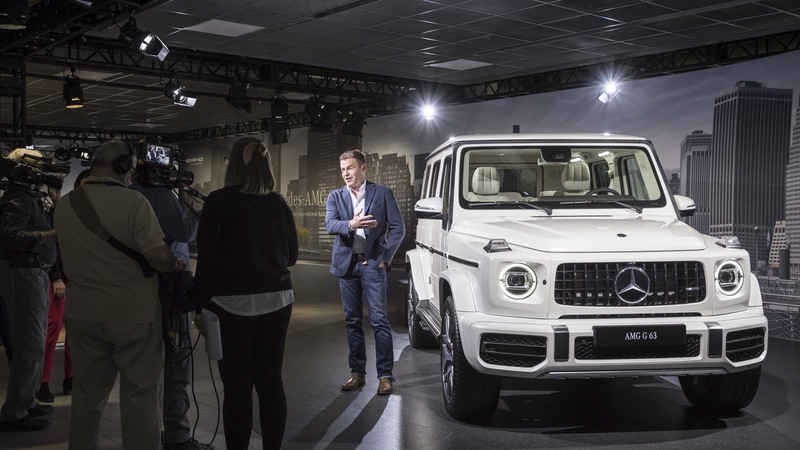 This new format was first introduced at the Geneva Motor Show last year and allows media to take a closer look at some of the new world premieres from Mercedes-Benz in a relaxed atmosphere. 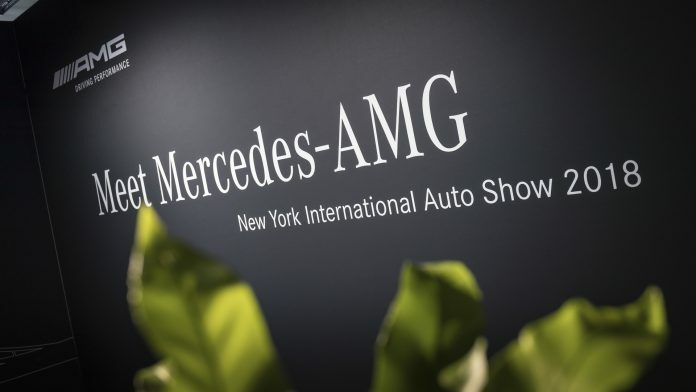 The first New York Meet Mercedes was slightly smaller and compact version of the Geneva Meet Mercedes but still gave us ample opportunity to check out the three new AMG cars and two US premieres. 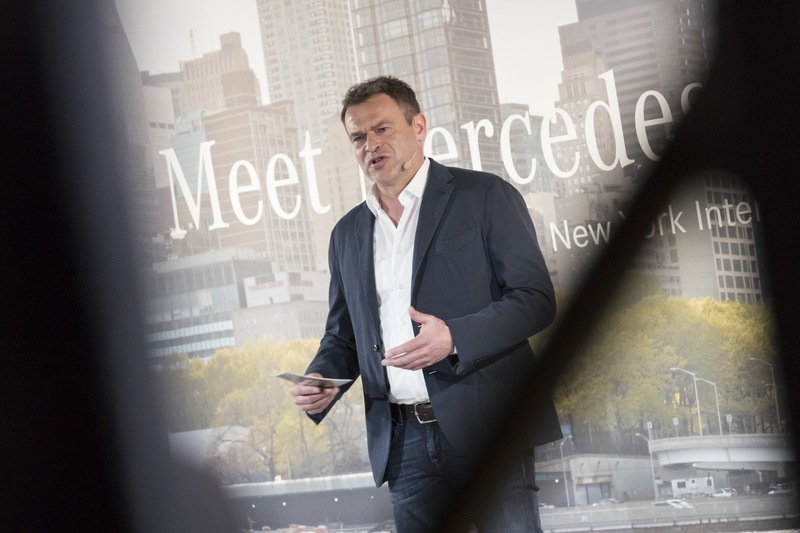 With all five of the vehicles on display coming from Affalterbach it was no surprise AMG CEO Tobias Moers was the main Daimler representative present. Following a short introduction and update about the US market, which is going very well for Mercedes-Benz and AMG; record sales and high annual growth, we checked out the individual cars. 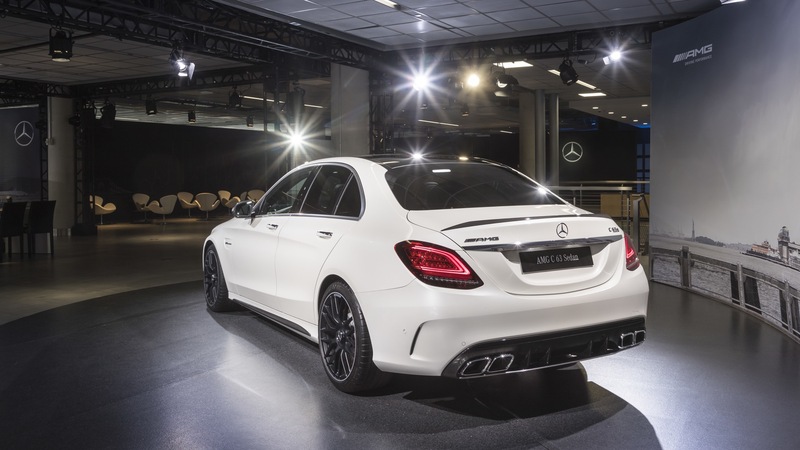 The first is the Mercedes-AMG C63 Limousine which received the same updates as its non-AMG counterparts shown in Geneva. Slightly revised front and rear and a updated interior with new infotainment displays and software. Next to the C63 Limousine we found the C43 Convertible and C63 S Coupe. Both received exterior updates similar to the limousine. 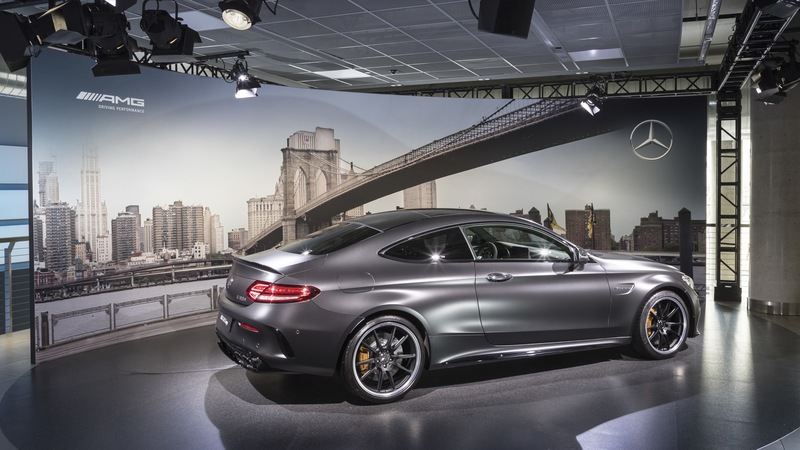 The C63 S Coupe particularly caught our eye with the magno grey paint job. A very desirable car that has become even more desirable with this facelift. 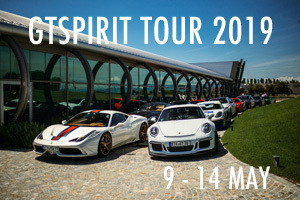 And that is without even factoring in the mouthwatering and supercar-like sub-4 second sprint from 0 – 100 km/h. 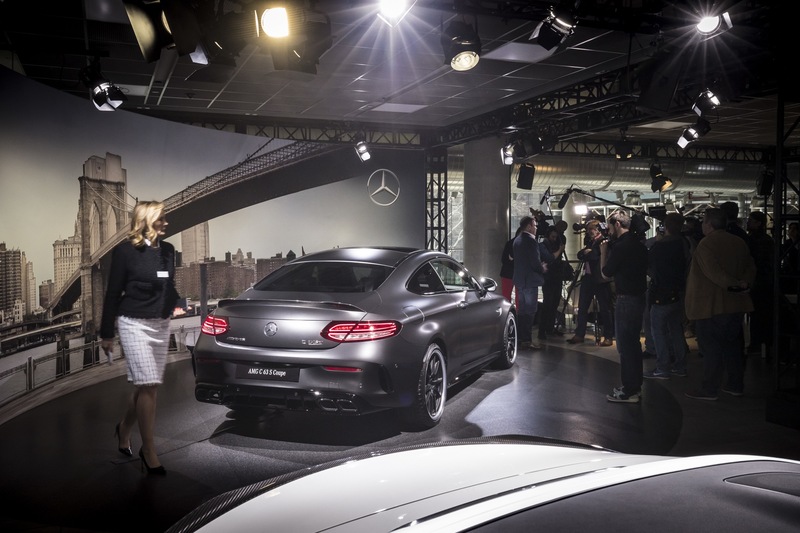 Besides these three world premieres AMG also brought the new GT 63 S four-door coupe to New York along with the new G63. Both celebrated their world premiere in Geneva where they stole the hearts of many. 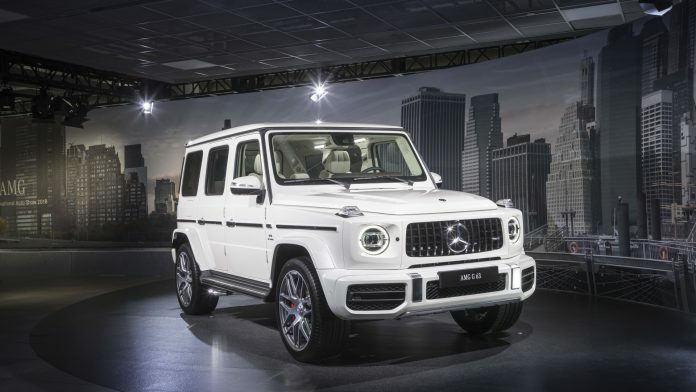 The new G63 represents the biggest change to the iconic G wagon in decades with only a handful of parts carried over from the previous generation. We can’t wait to drive it in a few weeks. 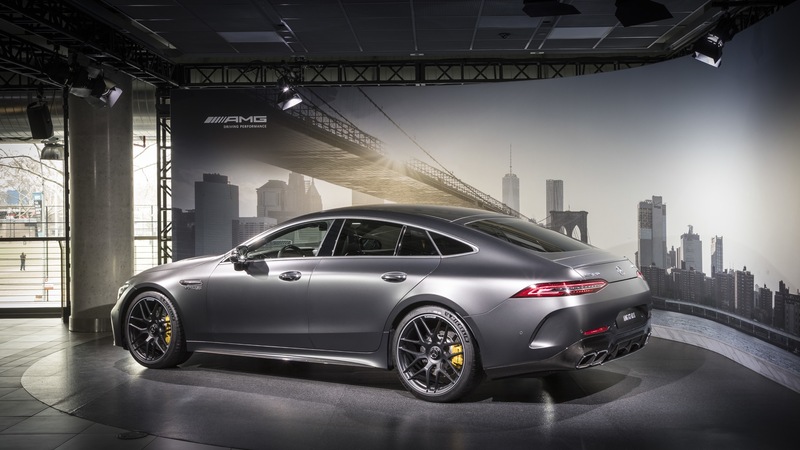 The Mercedes-AMG GT 63 S opens up a whole new segment for AMG and is set to go head-to-head with the Porsche Panamera. 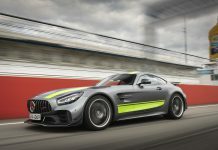 The exterior and interior are largely inspired by the AMG GT while the technical platform is provided by the excellent E-Class platform. New features includes digital displays in the center console and a dedicated four seat setup. In the rear passengers have more head room than the new Mercedes-Benz CLS. 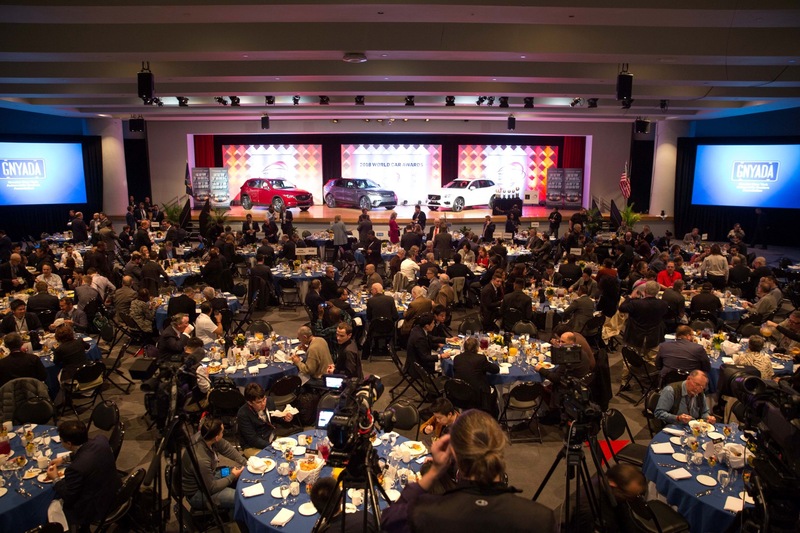 After a short night sleep duty called again at 7.15 for the annual World Car of the Year awards ceremony in the special events hall of Javits Center. 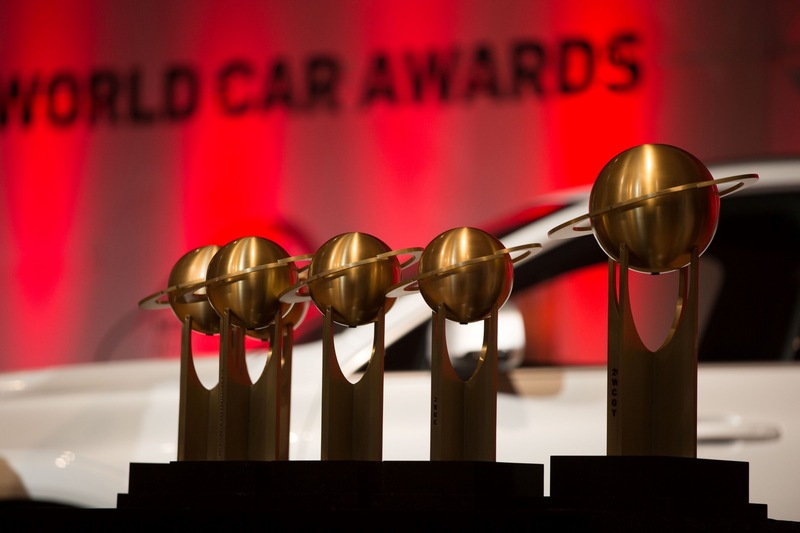 In a setting worthy of a black tie gala executives from the nominated manufacturers mixed with ‘WCOTY’ jurors from all over the globe witnessed the awards in six different categories. First up was the ‘Design Car of the Year Award’ with the Lexus LC500, Range Rover Velar and Volvo XC60 as final nominees. Chairman Peter Lyon slowly opened the envelop with the winner in an Oscar-style fashion and announced the Range Rover Velar as this year’s winner. Next up was the Green Car of the Year which was won by the Nissan Leaf. A category that is particularly close to our interests at GTspirit: the World Performance Car of the Year was claimed by the BMW M5. The Audi A8 truly deserved the title as Luxury Car of the Year with it’s cutting edge technology and revolutionary interior design. The Volkswagen Polo took the Urban car of the year award leaving only the main award still to be announced. 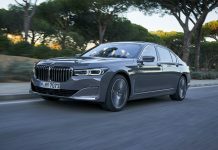 For the World Car of the Year a list of over 40+ contenders was brought down to three competitors by the 80+ judges worldwide including yours truly. The Range Rover Velar and Volvo XC60 were among the final three again along with the decent-but-not-overwhelming Mazda CX-5. 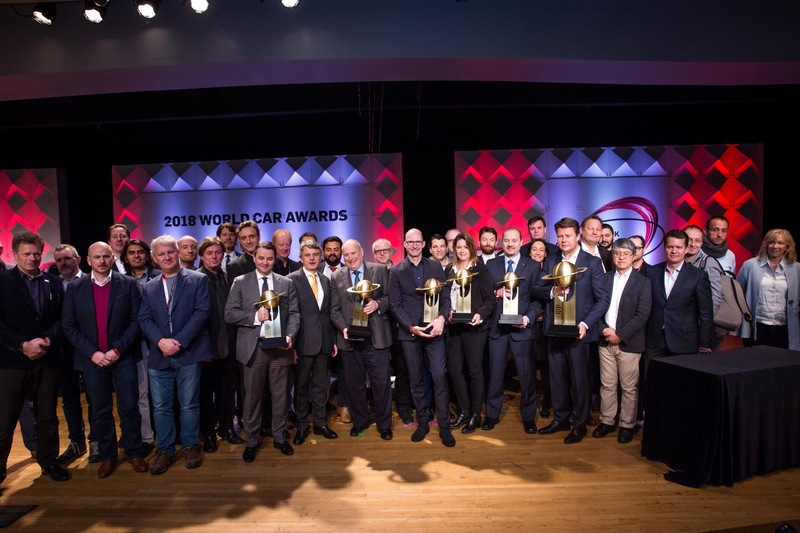 And with the words ‘This year’s World Car of the Year Award 2018 goes to…’ the Volvo XC60 took the main award home to Sweden. The auto show in New York is one of the most pleasant shows on the annual motor show calendar. Pretty much all the action is concentrated in just one hall, with only trucks on display in the lower level hall. The air-conditioning works wonders, which is quite a relief after the sauna like temperatures in Palexpo in Geneva, and there is a good crowd but it is never too crowded. Overall the perfect conditions to take in all the new cars and have interesting conversations throughout the day. Combine a 6.2 liter small block V8, a massive supercharger and a drop-top version of the mighty Corvette ZR1 and you have the new ZR1 Convertible. It nails the 0-100 km/h in less than 3 seconds and has a top speed well over 200mph. The immense wing on the back will make sure the new ZR1 Convertible will not go unnoticed when you cruise down your local boulevard while providing the downforce needed to put those 755hp down on the tarmac. Audi Sport put their hands on the Audi A5 Sportback and transformed it into a 444bhp and 600Nm V6 powered four-door sportscar for the United States and Canadian market with other markets to follow later. 0 to 60mph is done in 3.9 seconds and the RS5 Sportback continues to a top speed of 174mph. The Sonoma Green Metallic color is available as an exclusive option. 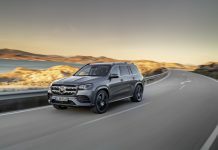 Following the introduction of the 7-seater Volkswagen Atlas in 2016 Volkswagen now presented two near-to-production concept versions of future Atlas models. The first is a plug-in hybrid and 5-seater version dubbed the Atlas Cross Sport Concept which combines two electric motors with a V6 petrol engine producing 355hp. It is set to go in production in VW’s Tennessee factory in 2019. The next one is a dual cab, short bed pick-up truck based on an extended Atlas chassis called the Volkswagen Atlas Tanoak Pickup Concept. 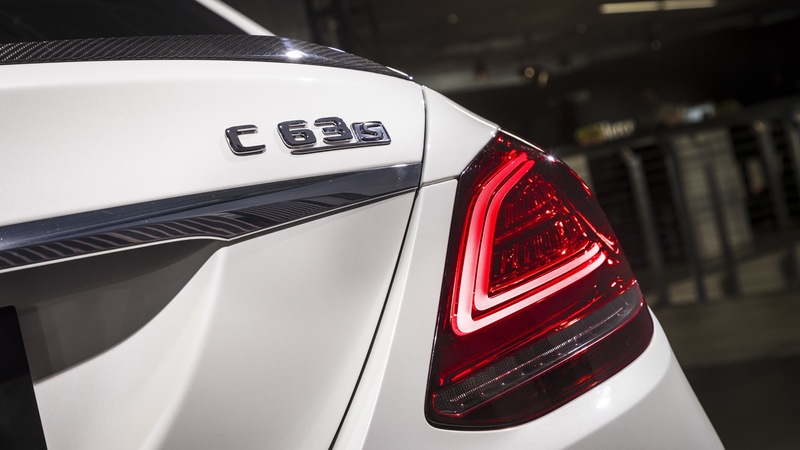 The 276hp V6 engine with all wheel drive system provides power for all possible duties. The true strength of the Tanoak concept is found in the exterior and interior design providing a fresh and clean technology advanced style not found in other products in this segment. There are no plans for immediate production but if interest is there the Tanoak might make it into production. 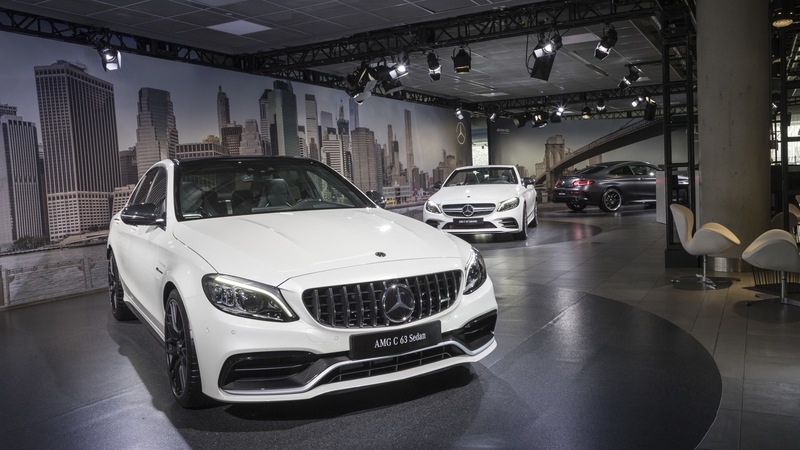 Just weeks after the unveil of the new Mercedes-Benz C-Class facelift models AMG follows suit with the new C63 Limousine, Estate, Coupe and Convertible. All receive the new AMG Speedshift MCT 9G gearbox with wet clutch which allows even faster sprints from standstill. 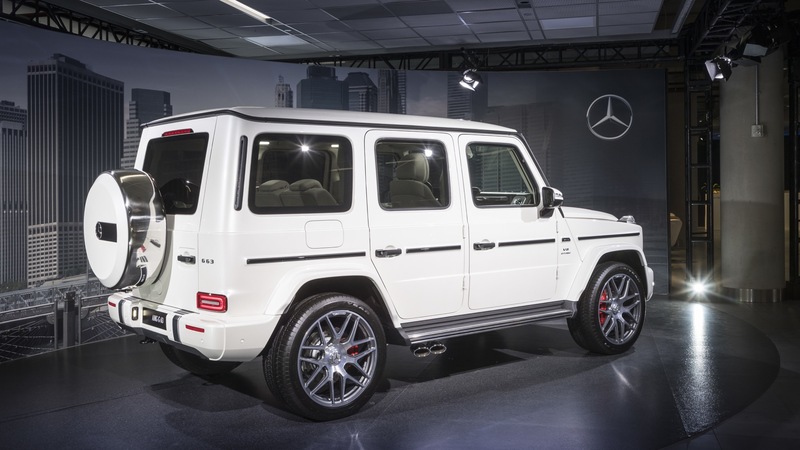 The 4.0 liter V8 is available in S and non-S guides providing 510 or 476hp. Along with tweaks to the exterior customers can now opt for the fully digital cockpit. 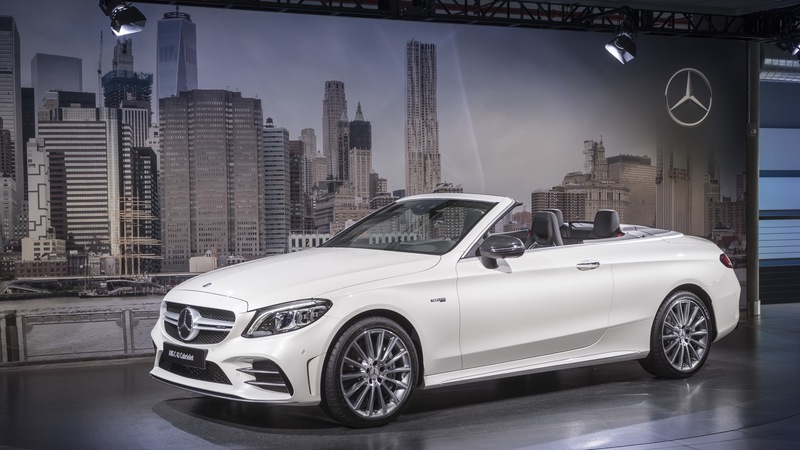 With wider tracks and aggressive looks it is one of our favorite new Benzes in New York. 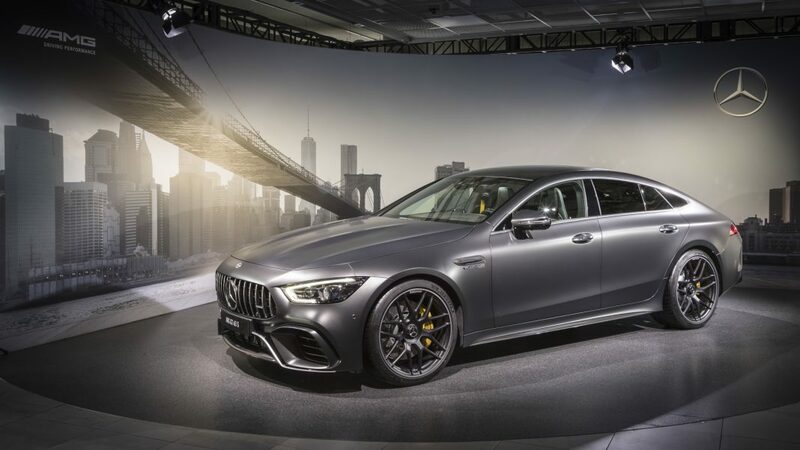 US debut for the Mercedes-AMG GT 63 S. The four-door all-wheel drive Porsche Panamera competitor. Combining the DNA of the AMG GT with the chassis of the E63. 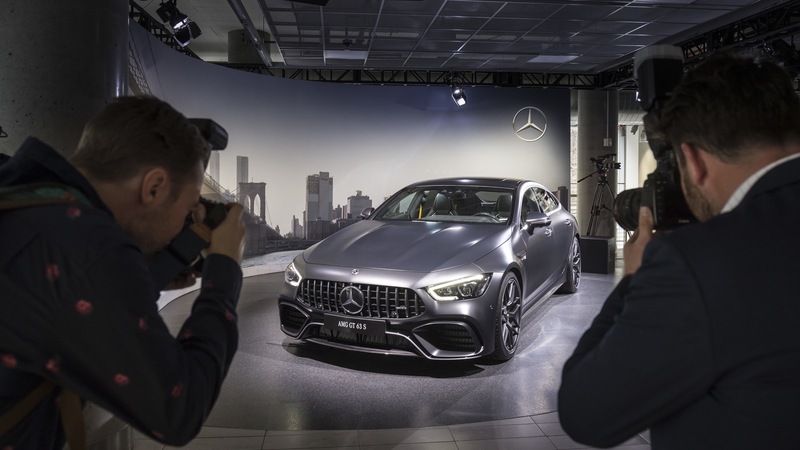 Brace yourself as AMG squeezed even more performance out of the 4.0 liter V8 biturbo engine – now delivering 639hp and 900Nm of torque. 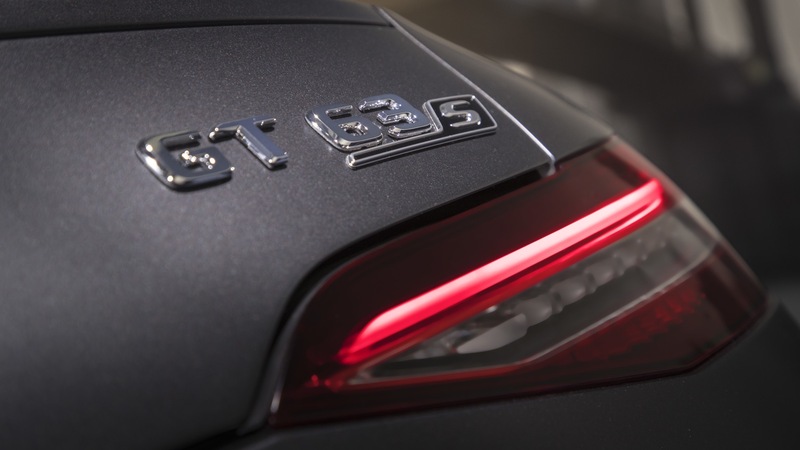 The GT 63 S can sprint from standstill to 100 km/h in 3.2 seconds and tops out at 315 km/h. Jaguar produced more F-Pace SUVs last year as all cars that left the factory back in 2011. Needless to say the F-Pace is an important car for Jaguar and they continue to expand the F-Pace range. In New York the high-performance F-Pace SVR celebrated its world premiere. Equipped with Jaguar’s very own 5.0 liter V8 supercharged it produces 550hp and 680Nm of torque. 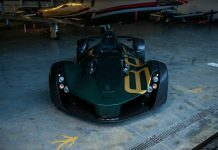 This allows a 0-100 km/h sprint in just 4.3 seconds and a top speed of 283 km/h. 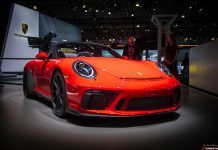 Porsche unveiled the next level version of the new Porsche 911 GT3 RS in New York. 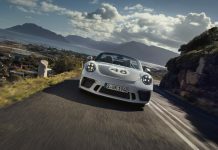 This optional Weissach package is another 18kg lighter than the already lightweight GT3 RS. On the outside you can clearly see two of many parts that have been created in carbon-fibre reinforced plastics: the front bonnet and the roof. The large PORSCHE logo on the rear wing also hints at the Weissach package. The Bugatti Chiron Sport celebrates it’s US premiere in New York. 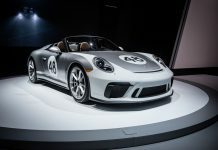 Like the GT3 RS Weissach it is 18 kg lighter than the base vehicle. The Chiron Sport is aimed to deliver a sportier ride with firmer chassis settings, torque vectoring and new sport focused suspension setup. Inside the sporty character is expressed through a mix of alcantara, leather and carbon. The rotary drive mode knob and engine start button are finished in black anodised aluminium. On the outside the new four-pipe exhaust can’t be missed. Koenigsegg recently announced the full production of 80 Regeras has been sold out. Still the Swedish plug-in hybrid hypercar with a combined power output of 1,500hp is worth a closer look. The 5.0 liter V8 alone produces 1,100hp and 1,280Nm of torque. 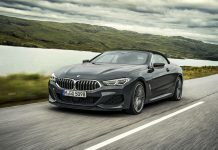 The electric motors which provide a full electric range of 35 kilometers add another 700hp and 870Nm to the mix with torque fill and torque vectoring functionality. Having just wrapped up the Geneva Motor Show Croatian electric supercar manufacturer and tech firm Rimac flew their brand new C_Two – which stands for Concept Two – to New York to present it to press and possible customers. Promising some breathtaking performance figures like a 0-60 mph time of 1.85 seconds, 1,914hp and 2,300Nm of torque. Enough for a top speed of 412 km/h. Add a carbon-fibre monocoque with state of the art technology like all-wheel torque vectoring and a 650 km full electric range and you have one hell of a promising electric hypercar. Although not a US let alone a world premiere the Rolls-Royce Phantom made it into our New York Auto Show 2018 Highlights for one simple reason; it looks amazing in black. We haven’t seen this typical New York spec of the new Phantom yet and it works incredibly well. Rolls-Royce North America was keen to add that this is a popular color in New York whereas customers in Florida and California tend to be more outspoken and exotic in their color choices. Right outside the main hall we found the multi-million dollar and 750hp+ Pagani Huayra BC on display at the Brembo booth. Finished in red with exposed carbon fibre this limited edition Huayra looks the money. 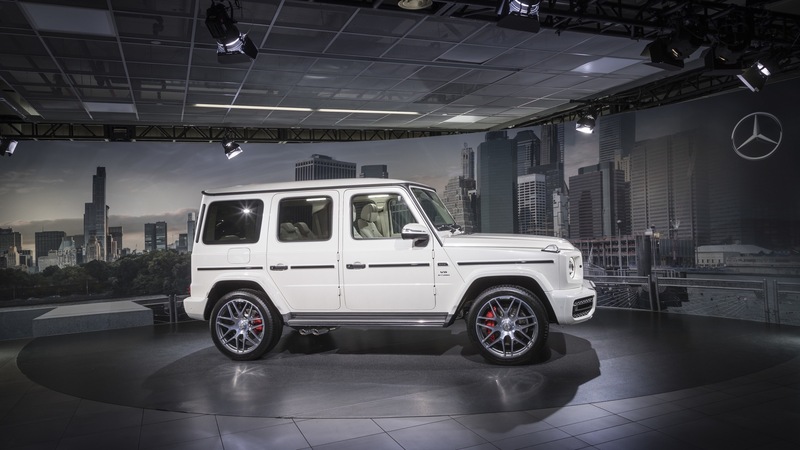 This year’s New York Auto Show proves that motor shows still work and have a place in the shifting automotive landscape. 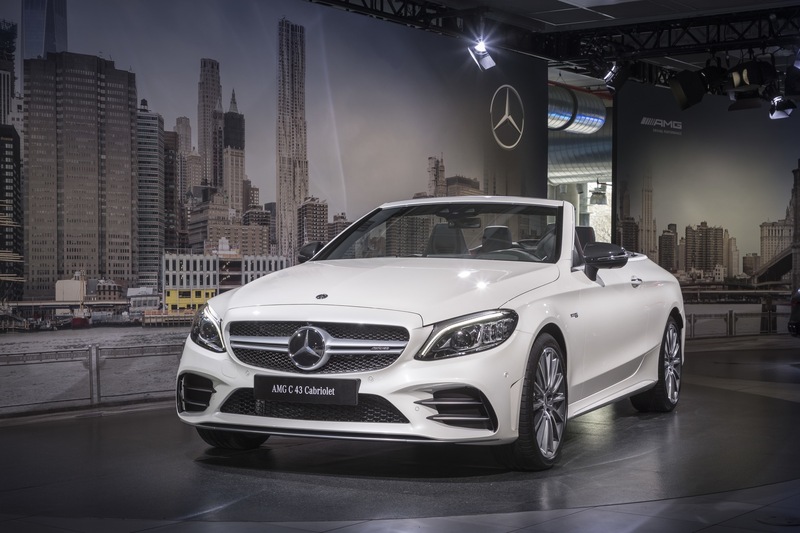 Next stop on the Motor Show calendar is the Beijing Motor Show in a mere 3 weeks. 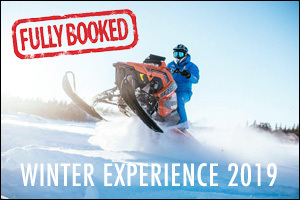 We look forward to take you there and provide you with the latest new cars from the single most important car market globally. We have already seen a few new cars and concepts due to appear in Beijing and there will be some fireworks. In the meantime join us on Facebook, Instagram or Twitter for the latest automotive news and daily updates from our team members around the world.